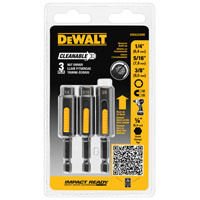 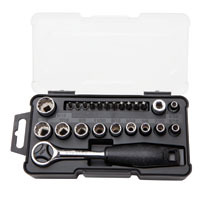 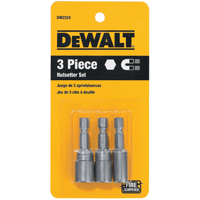 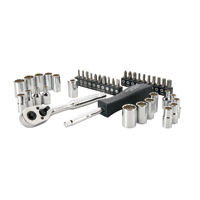 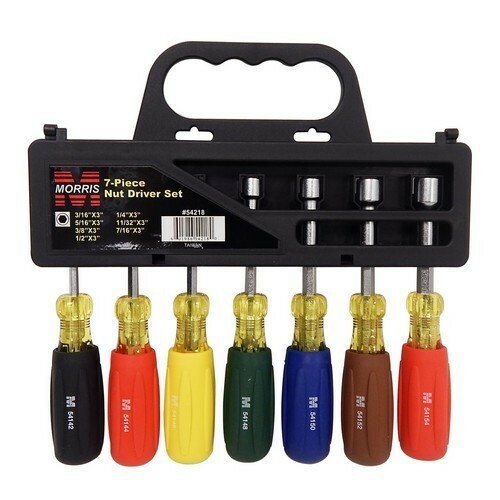 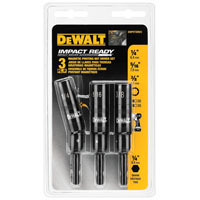 7 Piece Nut Driver Set - Compact and portable Seven Piece Nut Driver Set. 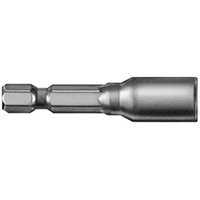 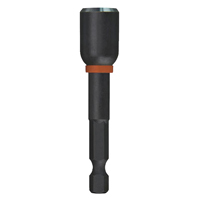 Milwaukee� Shockwave� Impact Duty Magnetic Nut Drivers are engineered for extreme durability and up to 10x life. 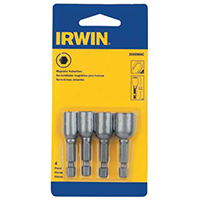 Made from proprietary steel and heat treated to control hardness, the Shockwave� Impact Duty Magnetic Nut Drivers feature a powerful magnet allowing for a secure grip and unyielding bit engagement. 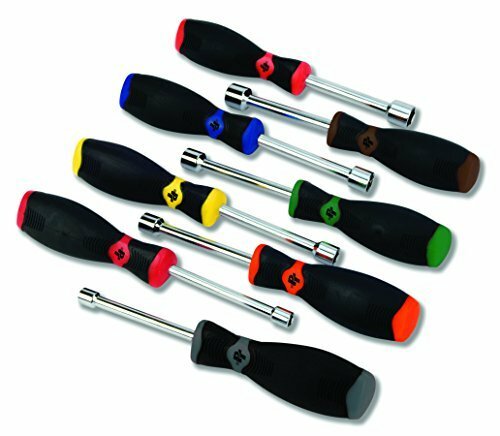 The bits feature color-coded rings for quick and easy size identification and a chamfered edge to allow for fastening in tight spaces. 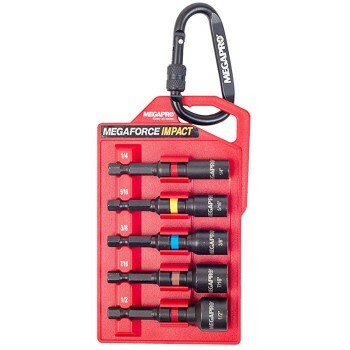 Broadly targeting cordless users, the Shockwave� Impact Duty accessory line is not only ideal for heavy duty impact applications, but delivers a full system solution for all the user's drilling and fastening needs. 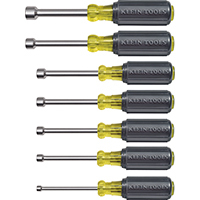 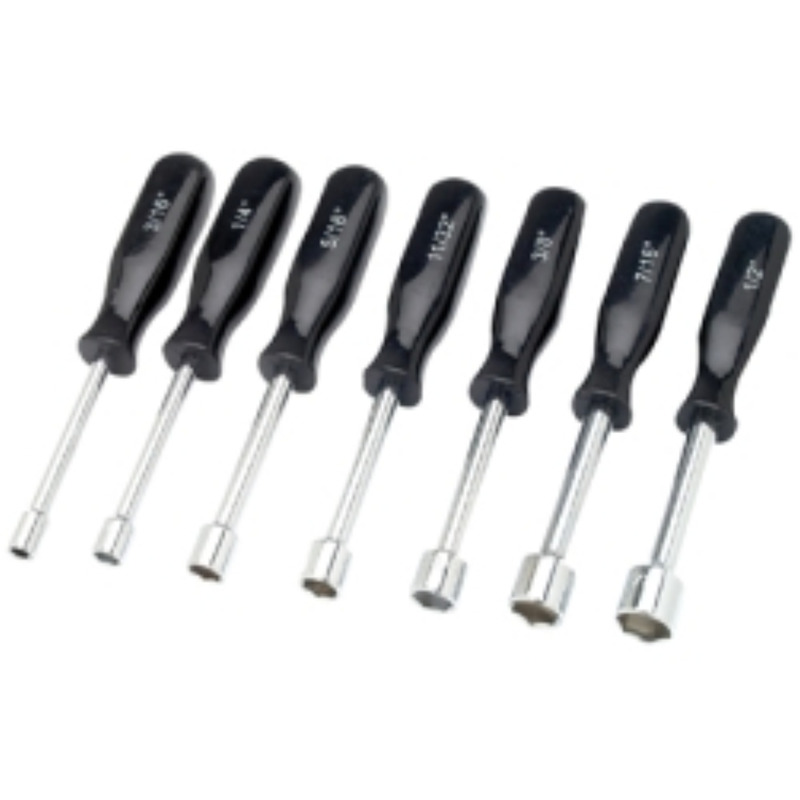 This 7-Piece Nut Driver Set from Klein Tools features a wide selection of the most frequently used nut drivers with 3'' (76 mm) shafts. 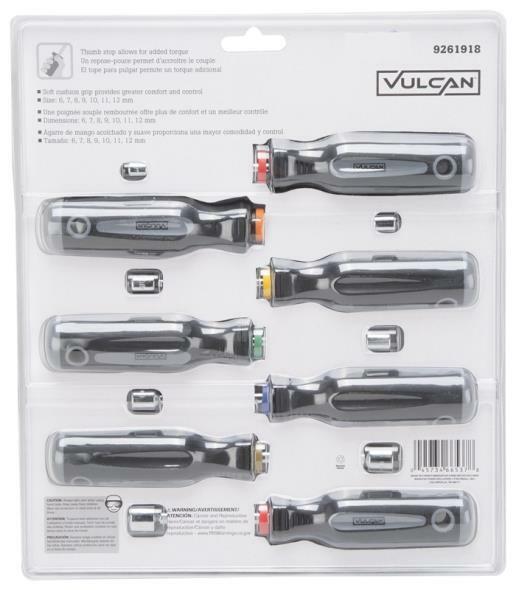 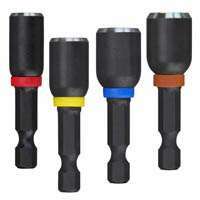 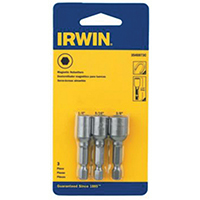 Each nut driver features Tip-Ident to quickly identify the nut driver and size. Cushion-Grip handles provide for greater torque and comfort no slippage. 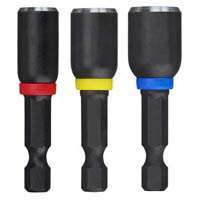 Black / Yellow. 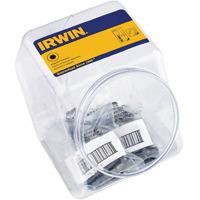 This item cannot be shipped to APO/FPO addresses. 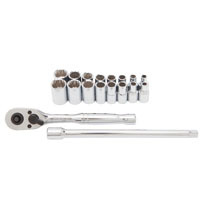 Please accept our apologies. 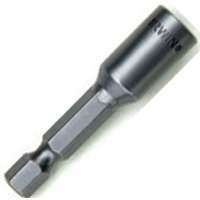 Nutdriver. 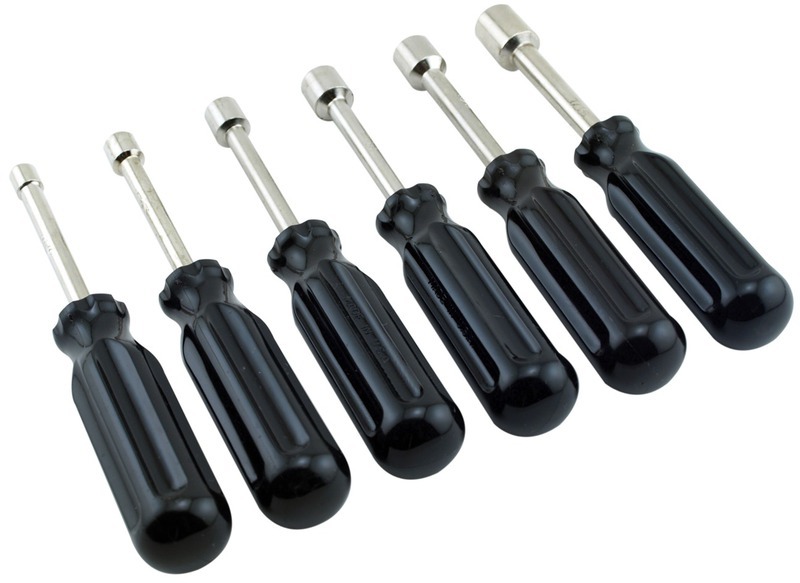 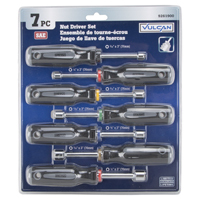 7 Piece Cushion Grip Nutdriver Set. Manufactured by: Williams, a JH Williams Company..